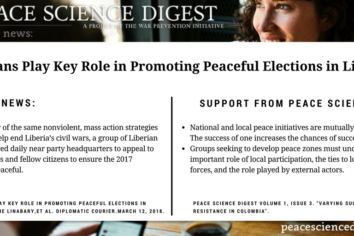 Civilians played an important role in maintaining peace through Liberia's first democratic transition of power. 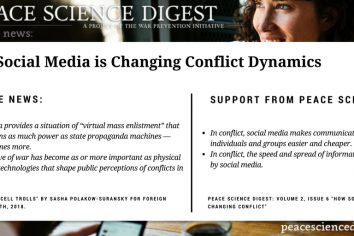 Social media has transformed the way that modern wars are fought. From the battlefields of eastern Ukraine to the bot factories of St. Petersburg, ordinary citizens with no military training are changing the course of conflicts with nothing more than a laptop or iPhone. 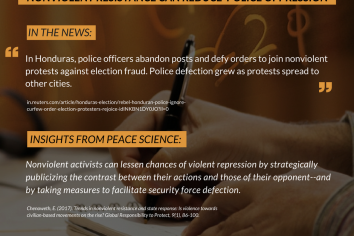 In Honduras, police officers abandon posts and defy orders to join nonviolent protests against election fraud. 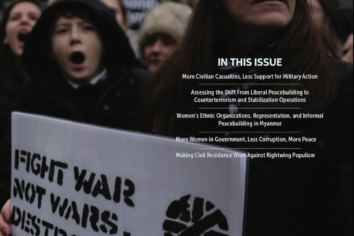 Police defection grew as protests spread to other cities. 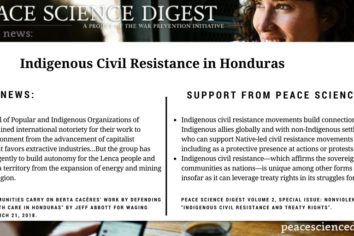 Nonviolent activists can lessen chances of violent repression by strategically publicizing the contrast between their actions and those of their opponent–and by taking measures to facilitate security force defection.